So many spectacular views appear when the light is fading—dramatic sunsets, the final inning of play, an evening stroll in the city or a warm moment around a campfire. The 1 NIKKOR 18.5mm f/1.8 lets you capture those low-light moments exactly as you see them. Its ultra-wide f/1.8 aperture delivers remarkably bright photos and videos with beautifully blurred backgrounds (what the pros call bokeh) and its 18.5mm fixed focal length (equivalent to a 50mm lens in 35mm format) mimics what we see with our eyes. From casual snapshots to creative close-ups, every image will be true to your memory of the moment. The speed of a lens describes its maximum aperture—the larger the aperture, the more light it lets in and, therefore, the faster the lens. 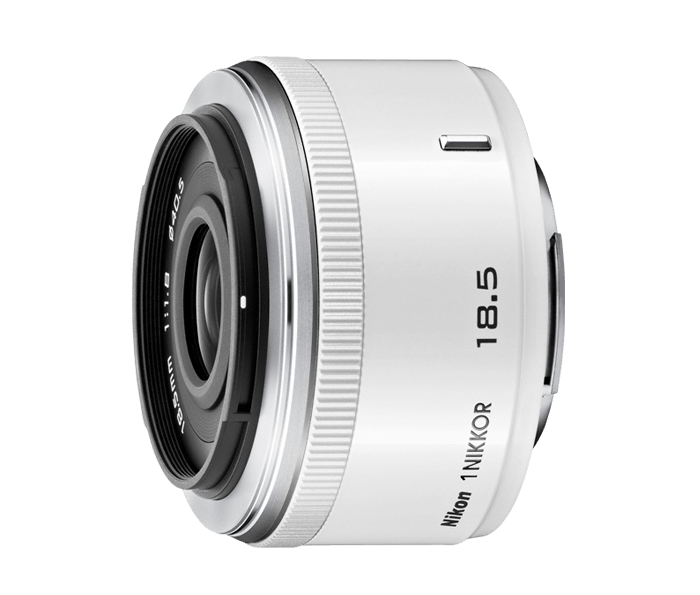 With a maximum aperture of f/1.8, the 1 NIKKOR 18.5mm f/1.8 is a very fast lens. This speed opens up new opportunities for low-light and high-speed shooting so you can capture brilliant shots while the light is waning. But that's not all. When shooting at f/1.8, your photos and videos have extremely shallow depth of field—your subject will be in perfect focus, but its background will be softly blurred. Use that effect to create flattering portraits, to draw attention to a particular area in your shots and much more. Combine 1 NIKKOR 18.5mm f/1.8's speed and depth of field control with an enhanced close focusing capability (just 8.4-inches), and you can get more creative than ever. Change your perspective—get close to a flower blossom for a stunning macro-style shot. Set your aperture to f/1.8, then bring the flower petals into crystal-clear focus while the surroundings fade into a soft, beautifully blurred texture. The 1 NIKKOR 18.5mm f/1.8 gives you creative freedom from any distance. 1 NIKKOR 18.5mm f/1.8 is the sixth lens in our growing 1 NIKKOR lineup and an excellent addition to every photographers bag. As a second lens, it gives you enhanced low-light, a fast f/1.8 aperture and close-up shooting capabilities. Pair it with the 1 NIKKOR VR 30-110mm, and cover a broad focal length range: from standard to telephoto. With each new lens you add to your bag, you'll find exciting new ways to express your creativity.